Feel like you’re losing your son? Do you ever feel like you’re losing your son? I asked my friend, Rhonda Stoppe, author of Moms Raising Sons to Be Men, to offer some advice for this hurting mom and others who may be going through something similar. Rhonda has raised two sons into manhood and understands the heart of the mom of a son. Rhonda encourages moms who feel neglected by their sons to “keep a pure heart before the Lord as you work through your disappointment — so your prayers for your son and daughter-in-law can be effective (James 5:16). “I would also remind you that it is God who works in us to will and to do His good pleasure (Philippians 2:13). Pray for God to work in your son and daughter-in-law to love you and be sensitive to your need to have a closer relationship with them…and then WAIT upon the Lord to do the work in their hearts as they adjust to being newlyweds and the excitement of their new lives together. 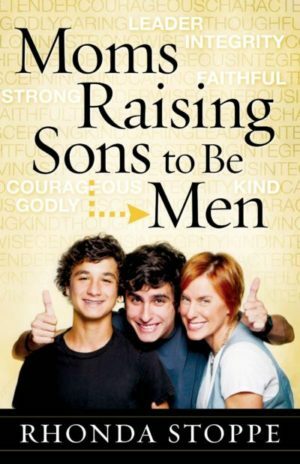 For more encouragement and practical advice, see Rhonda’s book, Moms Raising Sons to Be Men. How have you dealt with your son “leaving and cleaving to his wife”? My readers and I would love to hear your experience or advice in the comment section below. on Feel like you’re losing your son?. Thank you for inviting me to share my insights in this article. I know how deeply we moms feel about our relationships with our boys, and how there is certainly a transition period in our relationship with our sons once they get married. It is a wise mother who learns to step back and allow her son to transfer his whole heart to his new bride early on in their marriage…If a mother handles this time with Christlike attitude and affection she will most likely discover at some point her son will find ways to include her in his new life with his bride. I love you my friend! Keep up the good work of providing #StrengthfortheSoul ! Thank you, Rhonda, for sharing your wisdom and insights with my readers. I know they appreciate you just as much as I do. I often tell others if I had mothered a son, the book I would’ve written would have been yours! Thank you for your ministry through “Moms Raising Sons to be Men” and now your brand new book, “If My Husband Would Change I’d be Happy — and Other Myths Wives Believe.” I’m excited to have you on the blog giving some insights about that topic soon. I have three adult sons. Everything seemed fine until my oldest son and his wife had their first child. Since that time my son’s family has been treated like the red headed step child. We don’t know why, we asked but get no answers. I think my daughter-in-law doesn’t want to have anything to do with us and my son doesn’t like confrontation. Its been almost five years and five kids later, still the same situation. Thanks for your comment. I know that must be hurtful. I’ll ask Rhonda to provide some insights on your situation. I am so sorry to hear of your situation. I cannot imagine how your heart must long for time with your son and his family. You cannot do anything about anyone else’s heart but your own. So get alone with the Lord and ask Him to show you how you should respond to your son and daughter-in-law. When you draw near to God He will draw near to you, and His peace and wisdom is what you need during times such as these. When you are allowing God to purify your heart through the washing of the water of the Word, and keep yourself from bitterness or resentment toward your son and his wife, then you will have a pure heart to pray effectively for the Lord to do a work in your family. I pray this deep sorrow brings you into a deeper walk with Jesus, and that His joy will be your strength. And I pray that your joy in Christ – regardless of how your son’s treating you, will be the light that shines brightly to your son and his wife so that it will draw them toward a relationship with you… and ultimately to a closer walk with Jesus. I can’t tell you how I needed to read this article….perfect timing and to see it’s faith based makes it even more perfect. My younger son has been married for 2 years and am trying not to take the new chapter personal. Thank you! I never thought I would see someone change soooooo much as my son did, when he got married, he is a great father, who first he is also a son, I am so hurt, at times, I don’t even want to he around. My son did a complete about face, the moment he got married and became a Dad. He is such a phenomenal father, but forgot he is also someone’s son. I can’t describe the deep pain that invades my life everyday and my daughter in law, is ALL about her mom, her family and her friends, and I thought I would gain a daughter!!!! I cannot imagine how your heart must long for time with your son and his family. You are not the only mother who has this kind of experience after her son marries. The best insight I can offer you is that you cannot do anything about anyone else’s heart but your own. Bring your broken heart to Jesus. Get alone with the Lord and ask Him to show you how you should respond to your son and daughter-in-law. When you draw near to God He promises that He will draw near to you. The peace and wisdom God offers those who are brokenhearted is what you need during times such as these. God promises that He is near to the brokenhearted. You should be careful to ask God to keep you from having a bitter heart toward your son or his wife. Because if you are bitter it will only serve to drive your son away from you, and a root of bitterness will defile your walk with God, and will render your prayers ineffective. By allowing God to purify your heart through the washing of the water of the Word, and keep yourself from bitterness or resentment toward your son and his wife, then you will have a pure heart to pray effectively for the Lord to do a work in your family. And I pray that your as you fight for joy in Christ – regardless of how your son’s treating you, will be the light that shines brightly to your son and his wife so that it will draw them toward a relationship with you… and ultimately to a closer walk with Jesus. I feel your pain with the same type of daughter-in-law situation. My son has even admitted he feels like he is in the middle of the two of us. I even wanted to move away. I have taken a very back seat and I long to be included in what the grandchildren do. I am lucky that I see them about 4 times a year and I have to initiate it or doesn’t happen I pray but probably haven’t prayed enough. I am so sad…I dream of the pass times I had when my son prior to his marriage. I keep hoping that I get a second chance with my youngest son! You are not alone! I thought I would gain family, but, instead, I lost. I’m sorry you had this experience friend. It was The opposite for me. I moved to a different continent, a new country after I got married. I treated my mother-in-law like she was my own mother. All I got and the time was that I wasn’t good enough. She would come into our home whenever she felt like it and stay for days without even telling us how long she would be there. I would keep quiet. I knew it was harder for her because she was a widow. Yet I would cook for her, spend time talking to her and buy her things she needed all the time. All I got in return was a list of complaints that I never talk well with her and wasn’t meeting her expectations. It broke me and now every time I know she’s coming I have developed anxiety. She pretends to be a godly woman, but she stood quietly while her son, my husband, told me I can leave the house if I don’t respect his mother. All because I told him that I will not allow his mother to hurt me anymore. So if your son is cleaving to his wife , Please don’t feel bad. Give them some time and space. It is good for them. Keep praying for them. Our marriage is really really hard. and I’m saying this from a place of pain. Much love and prayers to you. I agree my son was born and raised in Hawaii where family is really highlighted with less entertainment we tend to make our own. My son was dating a girl off and on for 5 years and abruptly announced he was marrying her. She had been to our home twice for 2 week vacations in Hawaii but was unfriendly and didn’t lift a finger or offer to help in any way. In Hawaii it’s important to have respect for all aunties and uncles which all the kids call you that. You always bring a gift and always offer to help no matter what. We understand she didn’t grow up with the same values and also we are all born again Christians and my sons new wife is a non believer in God. How did he think this would all turn out when a pastors wife quickly reminded me I can pray all day every day for Gods will to be done but if my son isn’t seeking it or even telling about his salvation how will his wife know? I thought it was my job and first but God reminded me she is his wife not mine. I heard her call him the light in her life and told my son you have to tell her what it is. He ignored me and his wedding was awful he treated us like strangers and didn’t care how we to get around in another state. His dad was born and raised in Hawaii and is not good in traffic and such things he is for sure a country guy but his son doesn’t even care that we were lost and didn’t even invite us to the after party. We noticed the brides parents are big drinkers and well we don’t do it so we were like freaks of nature at his wedding. The brides father was over the top bragging about our son when he was supposed to say something about his daughter. How am I supposed to get to know her if she refuses to even speak to me. She is bent on saying I insulted her and even with an apology she isn’t budging. I havent spoken to my son in months before she came along we spoke daily on the internet chat now he is a stranger to us and we don’t even get a wedding picture because the bride didn’t like her makeup so we didn’t even see the pictures my son refuses to show them to me? My husband thinks the woman is a real witch a put a spell on him. Could he be right? Sure seems like a different son then the boy I raised and adored me and his sisters we are all garbage now! No I don’t think your son’s wife is a witch who put a spell on him. Your son married an unbeliever and they both know your faith and most likely feel either convicted or judged and unaccepted by you and your family even though that isn’t your intent at all. Unless the Holy Spirit convicts their hearts and opens their eyes they will not change, but unlike your pastor’s wife’s advice I believe prayer still works regardless of another person’s decision. (We pray for what we feel is impossible because we know a God who can do the impossible. And right now your son’s hardened heart — and the salvation of your daughter in law — looks impossible. But with God nothing is impossible.) My best advice is to keep praying for them, as that will cause your heart to soften toward them. and love them unconditionally as God loves you and me. Love softens hearts. Christ’s love changes people. Keep loving, extending, remembering their birthdays, send them an anniversary card with a gift card to dinner. Go out of your way to show love and acceptance to them in spite of how you’ve been treated and it’s very possible those walls in their hearts will come down and they will begin to have a relationship with you. Don’t hold out for an apology, they don’t feel they’ve done anything wrong. Love them as God does and you will be blessed by doing that, either way. Three years later and your sweet words are still helping wounded hearts stay close to Jesus. I so often have feelings of loneliness and doubt creep into my mind regarding the cool nature of my son’s relationship to me since he married. He is now the father of three sweet little ones and our relationship is still very quiet and distant. But, every once in a while he slips me a hug or a genuine smile and I know that my dear son has not forgotten our special time together. I cherish those sweet little tokens like precious jewels. I so appreciated your thoughts on how a man often speaks using less words and how those words can get easily used up as a bread winner, father and husband. This made so much sense to me. I also try to communicate with my son and his wife corporately because I love both of them ( which in the past I thought was a good idea,) but speaking to him solo when he has a free moment, as you shared in the article, might work better. I have looked online for articles on how to be a good mother in law and it is frighteningly sad that you will quickly learn there are no good mother in laws (per most articles) and very little encouragement for mothers of married sons is available. So just as Jesus answered the voice of temptation with scripture I try to fill my mind and heart with words of grace, endless love and genuine goodness when thoughts of doubt and loneliness try to creep in. Thank you once again for your words of encouragement, they really blessed me. Thanks, Joani. You, like Rhonda, have exercised a lot of wisdom in raising your sons and that’s why they’re such awesome young men. I appreciate your comments and hope you get a chance to meet Rhonda one day. She certainly shares our heart for the Lord. Cindi, thank you so much for having Rhonda! I am close to my adult son and this has been VERY valuable. He is not close to marriage but after reading this, and clicking to her site for the “winking story”, I feel better equipped for when he is. Thank you! Oh groan…the title of her book was me during our first 7 years of marriage:-/ Thank goodness God moved my heart past that! Don’t you just love that story: HE WINKS AT HER NOW? Every time I share the story of how my son Brandon who used to smile and wink at me from stage, now finds the face of his beautiful wife in the audience and winks at her I get choked up! It is such a delight to watch your son transfer his affections to the woman he marries, and you are wise to tuck away these insights to prepare your heart for such a time. 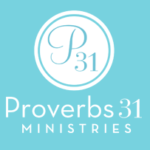 Learning to allow your sons (and daughters) enough independence while they are living at home to learn from their mistakes will provide your children with the wisdom they need to repent, return, and recover from their mistakes whenever they do make them…and they will. But with God’s grace they will become stronger Christ followers as a result! With a rushed civil ceremony and baby on the way, my son and now wife are in the throws of new parents. Have supported them financially and emotionally . . Yet, little to no gratitude. Not to mention the baby shower I had given them. Had to insist they send out thank you cards. Even provided the cards, addresses. Son wants wife to stay home with baby with no work in sight for her. They can not afford such a lifestyle. Do I stop the money and let them discover the results of such a choice? It is difficult cause of the worry for my grandson. Let them maybe face being homeless. A small request from our family for a wedding photo falls on deaf ear . It has been since last April her father took the photos and never even cared to send one to us. Just small requests go unanswered, sad to say!!! I am considering to let the chips fall where they may. To let them see the light of their choices. Is that best? I am sorry to hear of your son and daughter-in-law’s response to your kindness and generosity. I cannot give you a direct answer to your questions as I do not know the hearts of your children. Ultimately as parents our goal is to live in a manner that guides our children to depend on Christ-rather than on us. So continually rescuing them and taking the sting out of life’s consequences is not always in their best interest–even though it may feel like it is helping them. I sense you may have bitterness or resentment toward the way the kids are not measuring up to your expectations. God’s Word instructs us in Hebrews to not allow a root of bitterness to take root in our hearts because it will “defile many.” And if “the effectual fervent prayer of the righteous accomplishes much” then we must realize that unconfessed sin in our hearts will hinder us from praying powerfully for our children. The Bible says if any one lacks wisdom let him ask of God. So if I were you, I would get alone with the Lord, ask Him to show me my own sin, resentment, bitterness, fear over what might happen if I stop rescuing my children, etc. and then ask God to grant you and your husband His wisdom to know how to respond to the selfish, entitled ways your children are acting. I wrote an article for Crosswalk.com called RUINED KIDS: Spoiled or Entitled — What’s Worse? It may offer you some insights as well. I pray God grants you His wisdom, patience, kindness and discernment as you discern the best course of action to help your son and his family. Our only child and son got married in November. As his mom he and I have always been very close since I was a total stay at home mother. He was raised on the rock of Jesus and went to parochial grade and high schools. Two years ago we walked with him through a journey we never thought we would have to…cancer. He had surgery and 9 rounds of chemo and today he is totally cancer free and we pray that lasts FOREVER. We love the girl he married as she came into his life during that time and never left his side and her name was HOPE. Since they married, however, we ..the ones who paid for most of their wedding/reception and needs (they bought my childhood home that my father had built in 1949) are left out much of the time. Our son’s wife is a hard worker…for her COMPANY which is retail but doesn’t spend alot of time taking care of her blessed with home. Before marriage she didnt seem that connected to her family quite so much but now they are with someone in her family every week and her mom may even move in with them since she is poor and may lose her current residence. Our son is totally okay with all this togetherness with THEM and not US. I miss the closeness so terribly and the new daughter I thought I gained never calls, emails or replies to any of my posts. I know before she thought I would horn into their lives after marriage to make sure all was good with our son but I assured that would not happen and it hasn’t. But I am left alone and tearful much of the time knowing that they are with the family that did nothing much for her yet she is clinging and seemingly appreciating them more. I pray with all my heart soul and being but the loss I feel is similar to grief. She was a believer in the Lord but was never a church member or baptized and therefore does not initiate that they go to church and worship regularly which concerns me. Our son always went before but as he got older he opted to do other things with friends vs. church and now he can not go for weeks on end and is okay with that. This also concerns me that Christ is not at the forefront of their daily existence as man and wife. Please pray HE can bring them closer to HIM and to me as a mom hurting and my husband as well…although my husband does see our son more than I as they work for the same company. If my daughter in law’s mom moves in with them there will be an even bigger wedge holding us out of the equation and that hurts…esp since they live in the house my parents raised me in and for which I have grand loving memories. Here’s an audio excerpt from a radio interview where I shared insights regarding Adoniram Judson when he was a prodigal, and how God orchestrated his steps to bring him to repentance. I hope it encourages you. I am sorry to hear of your grievous circumstance. While the lack of interaction with your son and his wife, and pain of their lack of desire to spend time with you and your husband is heartbreaking, what concerns me most is your son’s lack of desire to be a part of a church family. Rather than focusing on wanting your son to fellowship with you begin interceding that the Spirit will bring your son to a place of wanting to fellowship with Christ and with His people. Whenever someone who once claimed to be a Believer pulls away from fellowship with other Christians it is usually evidence of their pulling away from intimacy with Christ as well. And when someone is walking in rebellion to The Lord then others who are walking with Christ often remind them of their sin. Is it possible your daughter in law and son feel more comfortable with her family because they do not feel conviction over their lack of desire to grow in their faith by sitting under sound teaching and preaching and fellowship with other Believers? You cannot do anything to change the heart of your children but God can. And if you are careful to keep your heart pure of sin/resentment/anxiety (by asking God to show you your heart so you can repent) then God’s Word promises the “effectual fervent prayer of the righteous accomplishes much”. Continue to pray for your son to step up to be the spiritual leader of his family, for the Spirit to remind him of how God healed him of cancer so he could serve Christ with his life, and ask the Spirit to do a work in their hearts to bring them to a place where Christ is their all in all. Loving God with all of your being (Matthew 12) is the secret to loving your neighbor as yourself. Try to take your eyes off of your pain and upon Jesus, asking Him to cause you to love Him more deeply every day as you seek His face. In so doing, your son and daughter in law may not measure up to your expectations but your resolve to make loving Christ your life’s priority will fill your aching heart with His peace and joy that transcends life’s disappointments. I pray that God gives you His wisdom, patience and love as you wait on Him. This is happening to me right now and it has been for the last 4yrs, since my son and daughter-in-law moved out of living with me when my 1st Grandson was 5mo old. I was a single parent my sons whole life and I am still single and it’s really hard for me, when we were (his whole life) so close and now we feel so distant. Unfortunately, I do make a fuss about the time spent with her family and it has caused major distance and arguments. How do I make it better? It’s seriously destroying me and I can’t shake it! I am very social, go to church, have a tons of friends, etc. But it’s not the same, when I just feel left out and like I don’t matter. Too many women are selfish. It is rare for a woman to consider the feelings of her husband’s family and to make an effort to involve them as much as they involve their own family. They will only understand the cruel selfishness of their actions if they have sons themselves who go on to marry other selfish women. This was reassuring to read. I’m glad I stumbled upon it. Although the above specifically talks about a Mom and her son, the same holds true for a Dad and his son as well. This is exactly what I am going through right now. It is a very rare occasion my son and Daughter-in-law swing by to visit, but yet spend a lot of time with her family. Albeit it is heart breaking. Now add into the mix a brand new baby boy. I thought things would have changed, but alas they have not. But this I do know, my son is happy. Wow! This has been me for the last 4 years of my life. My only child a son got married 3 years ago and I hardly see or hear from him unless I text or call. We used to be oh so close as I home schooled him and then as he went into high school. I knew when he got married he would not be a huge part of my life but I never dreamed he would stop being a part of our lives. All holidays are with her family except holidays like Memorial Day, then they might come over. But major holidays are non existent. His mother in law calls him her son and purposely says things to let me know he isn’t into his family. He says he cares for us but he has his own life now and I can’t be interfering in it. I have become more and more distant from him to a point of now I feel I have to let him go totally and become a distant memory to him. He spends his free time at his in laws house which is only a few miles from us and didn’t even come to see me on mother’s day. He sent me a text to say happy mother’s day. My heart is breaking and I have asked God to help me and to help him to see what is happening. I am at such a loss and feel like such a failure as a Mom. Please pray for me and my family to come through this. I thought I was alone in this. I’m glad I stumbled on this web site because I now see that many other mothers are suffering losses in the same way. We always think that when our kids marry, we gain family members. And for some, that happens. My mother-in-law has been blessed with two daughters-in-law who spend time with her and have allowed grandkids to spend time with grandparents on both sides of the family. I have one daughter-in-law who has made an effort to include us. We are blessed in that respect! But our youngest son has disappeared from our lives. It’s as if he became someone else’s son after he married. We didn’t gain a daughter-in-law; we lost a son. My youngest son and I were so close, and now I rarely hear from him. There are times I feel like I can’t go on, but then I remember the “bigger picture.” This life is temporary; our earthly relationships are also temporary. In the end, life is all about our relationship with God because He is the One who has blessed us with everything, including an eternal relationship and home with Him. Keep thinking about that, and hopefully you’ll find some joy again. Thank you so much for those wise words that are so evidently Spirit-led. Anything we treasure here on earth more than God (including our relationships with our own children) will ultimately lead to disappointment. I know that, as a Spirit-led mom you’ll keep praying for that son and realize he is not “lost” to God…and God knows your heart and can change your son’s heart, as well. Thank you, again, for your wise, comforting words. I think I could have wrote many of these comments. Thanks for sharing. It is nice to know that there are others out there dealing with this pain. In some ways it felt like a funeral losing my son. I have definitely had to go through a grieving process of what happened what went wrong why me. But I know that it’s no me anymore.. Somehow, someway I realize that it’s part of God’s plan. When they do come by on occasional holidays it takes me two weeks to recover just gets me so down to realize that relationship is gone. After years of attempting to meet to lunch and a one-way street from my house to his house only, I have finally let go realizing it just is what it is. It’s been particularly hard because of not getting to know my grandkids one that was very ill and hospitalized and people asking about how they are doing and being left out of that Loop we knew nothing and even got more and more shunned within the community. People judge you as awful and little do they know you’re being left out. I was a homemaker made homemade cooked meals took my kids to all their games, Church, happy birthday parties you name it I did it. All in all my son is a great person and a great husband and I have to be proud of that I realize I did do a good job. On the downside it’s embarrassing in the community when people ask you about your son or tell you about your son even worse and you blindly stare at them not knowing what they’re talking about or how to answer how they are doing because you truly don’t know. I find the truth works best and I just tell them that my son doesn’t have a relationship with me that close that I really can’t answer those questions. Honesty helps heal. It’s comforting to know I’m not alone but sad that so many of us are grieving. I’m new at this MIL thing. I knew my relationship with my son would change but I am devastated to be assigned such a minimal role. I have tried my best to be supportive of my son and his new wife-both individually and as a couple. I’ve also tried to affirm and connect with the new family by inviting them to events, sending Christmas and birthday gifts…only to be ignored. I lost my oldest child 3 years ago, and I often feel childless. This added grief sometimes makes it difficult to want to live-it’s almost too much to bear. God must have some purpose for me being here, though, and I pray He shows me soon. Good advice to draw near to Him and continue to pray. Thank you for sharing your words of encouragement. I too feel a little hurt that my son and daughter in law visit and stay with her parents whom are 30 minutes from my home. Being so close, they don’t come by just to visit for a short time. Both my husband and I are hurt and don’t understand this. Can you offer me any advice on this?